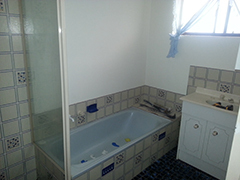 Flawless Tiling is a family run business in the great State of South Australia. We lay and supply tiles specializing in porcelain. We Have a range of polished porcelain tiles we can supply grouts and adhesives. We service most of Adelaide covering the East, North East, central, and Northern suburbs of Adelaide. Including The Barbarossa Valley, Mid North to about Clare, hills, and we also service the west. We deal with suppliers of tiles and bathroom ware which saves you money and time. We have select suppliers that we deal with and have a good relationship with and we pass the savings on to you. We also do the removal of old tiles and slate from main living areas and resurface and level floors. Concrete grinding and leveling. We don't forget about the small jobs either catering for that small kitchen splash back or floor. Flawless Tiling has become one of the most in demand tilers in Adelaide. Leading the way in Quality, Service, and Price. Fully insured up to 20 million. Flawless Tiling strives to get the very best high quality finish of your tiles, leaving you impressed for the lifetime of your home. SPECIALIST IN LAYING LARGE PORCELAIN TILES!